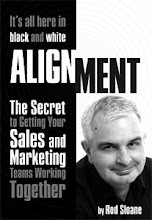 Sales and Marketing Alignment Blog from Rod Sloane: Been on a tWalk? Oh my God! You haven't!! Why not? OK ,I'll stop being a teenager. networking and an organised walk. The last two have been referred to as a netwalk. aka @thebookwright in the Surrey Hills. Excellent day to learn and network. You'll find my audioboo below. Or you can search twalk on twitter. If you get a chance to attend to take part in a twalk, my advice is to take it!